Home/Asia Pacific/The rise of educated young Kashmir militants: propaganda or unpalatable truth? SRINAGAR, Jammu & Kashmir – With the arrival of autumn in the disputed Himalayan valley of Kashmir in the cold month of October, the famed Chinar trees began shedding their leaves. And on the morning of October 11, a research scholar-turned armed rebel commander of a militant outfit was trapped in a house along with his associate in Shatgund hamlet of north Kashmir’s Handwara district. 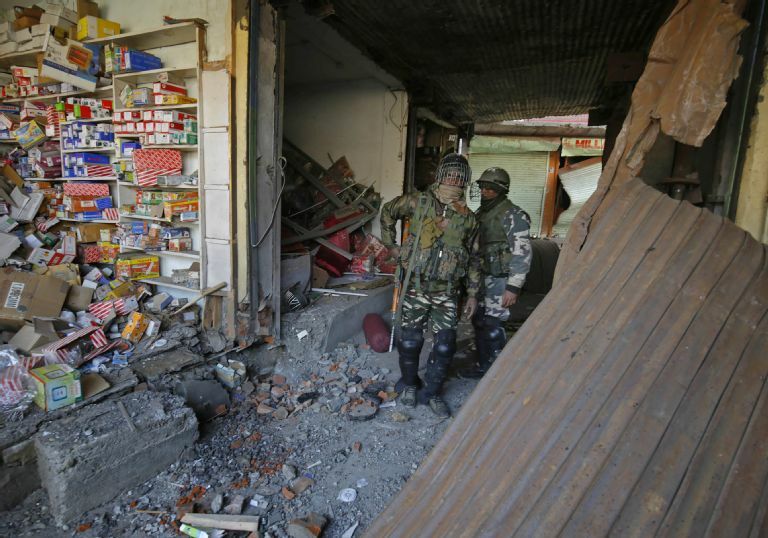 Hours later, in the afternoon, local authorities and Jammu and Kashmir Police confirmed that the 29-year-old gun-wielding rebel Manan Bashir Wani was killed in a brief firefight with the Indian armed forces. Wani, formerly a research scholar at the prestigious Aligarh Muslim University in the northern India state of Uttar Pradesh, joined the ranks of militants fighting New Delhi’s rule in Indian-administered Kashmir earlier this year. The Himalayan region of Kashmir is claimed in full by the two nuclear-armed arch rivals Pakistan and India, but administered in parts since the partition of the subcontinent in 1947. From a well-do-to family, Wani remained busy with his studies at AMU beginning in 2011, completing a M. Phil followed by PhD in geology. After joining the militants, Wani wrote two long letters explaining his unanticipated decision to take the path that he did while sacrificing his career ambitions. 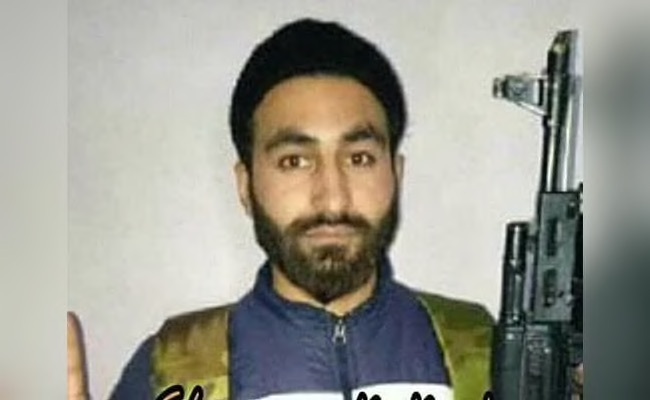 Photos of Aligarh Muslim University research scholar Mannan Wani went viral when he joined Hizbul Mujahideen in January 2018. Indian security forces said they killed him on October 11, 2018. Both of his letters went viral on social media. Wani was among a stream of educated youths who joined Kashmir’s new age of armed rebellion since the civilian uprising intensified following the July 8, 2016 killing of Burhan Muzaffar Wani, a young and popular tech-savvy commander of the banned militant organization Hizb-ul-Mujahideen. Seven months before Wani’s death, Mohammad Rafi Bhat was killed in a gunfight with Indian government forces. Bhat, a young assistant professor at the University of Kashmir, was one of five armed militants killed in a remote hamlet in south Kashmir’s Shopian district, about 45 km from Srinagar – the summer capital of Indian-administered Jammu and Kashmir. Bhat, a resident of the Chundina area of central Kashmir’s Ganderbal district which is 25 km from Srinagar, was working in the university’s sociology department. He joined the ranks of armed rebels only 36 hours before he was killed in the encounter, the likes of which have become routine in the disputed Himalayan region over nearly three decades. The killings of Wani and Bhat stirred debate in the Kashmir Valley about a possible trend of highly-educated young men being attracted by Kashmir’s new-age of militancy, which is comprised mostly of local recruits rather than fighters from the Pakistan-administered part of Kashmir or mainland Pakistan. 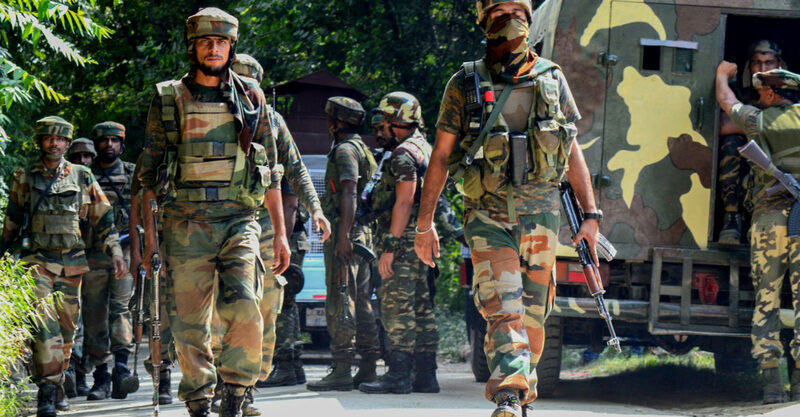 According to informed sources in the Jammu and Kashmir Police intelligence department, there are around 325 armed rebels currently active in various parts of the disputed region. More than 200 are native boys and men from varied socioeconomic backgrounds. “From January until August 2018 at least 146 local youth have joined various militant outfits in Jammu and Kashmir. The fresh recruits mostly belong to south Kashmir’s volatile districts of Pulwama, Shopian, Anantnag and Kulgam,” a top-ranked police source told The Defense Post on condition of anonymity. Kashmir politicians representing competing ideological strands – pro-independence, pro-Pakistan and pro-India – differ on why educated young people are attracted to the idea of taking up arms rather than joining the political struggle for a peaceful resolution to the conflict. Mehbooba Mufti, former chief minister of Jammu and Kashmir and president of the regional Peoples Democratic Party, believes that “the othering of Muslims across India” as one of the reasons young men join the conflict. “Basically it is the political nature of Kashmir problem, its internal and external dimension, a fact that is being denied [by Delhi]. The circumstances around us play the role of a catalyst. The othering of Muslims in India and a strident Hindutva assertion instigates a reaction and a sense of insecurity and hopelessness within the system,” Mufti told The Defense Post, using a term to describe a Hindu nationalist political ideology. “The global atmosphere of political radicalization and wrong interpretation of jihad also contributes to [young people taking up arms],” she added. On the other hand, Mirwaiz Umar Farooq, the Srinagar-based influential head priest and chairman of a moderate faction of the pro-independence amalgamated All Parties Hurriyat Conference is of the view that “the intensity of Indian repression pushes educated Kashmiri youth” to the wall. The moderate pro-independence leader also blamed the alleged silence and apathy of the international community over Kashmir as one of the reasons behind the current drift. “The failure of the international community to hold India to its promise of giving to the people of disputed Jammu and Kashmir their right to self-determination and the Indian government’s reluctance to engage in alternate means of dialogue and negotiation to settle the dispute have made our generation next, the third time since the partition of 1947, lose all faith in democratic institutions,” he said. “Hence, they [educated youth] think they are left with no alternative other than to fight India’s military control over Kashmir with the use of gun,” he added. However, the Inspector General of J&K Police (Kashmir Range) Swayam Prakash Pani has a different take, saying he believes that militants in Kashmir thrive on publicity. Police denials aside, educated young men have indeed joined militancy in Kashmir in recent years. On March 23, which fell on a Friday, a young man went missing in the capital Srinagar soon after noon prayers. 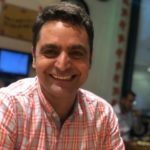 Hours later, it was public knowledge that he had joined Hizb-ul-Mujahideen, Kashmir’s largest militant outfit which favors the disputed region’s merger with Pakistan. 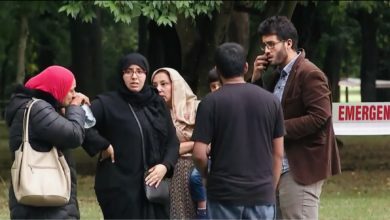 The man was 26-year-old Junaid Ashraf Sehrai, who had earned an MBA from the University of Kashmir and was the son of senior pro-Pakistan leader Mohammad Ashraf Sehrai. Junior Sehrai announced he was joining the militants in a signature style that is widespread in Kashmir’s renewed armed rebellion: gun-toting new entrants publicise their joining by posting pictures and videos on social media with their original names, aliases, and educational qualifications. His joining of militancy came at a time when another youth, Esa Fazli, a B.Tech student from Baba Ghulam Shah Badshah University in Jammu province’s Rajouri district, had joined an Islamic State-inspired armed group called Islamic State Jammu and Kashmir. Like Wani and Bhat, Fazli did not survive long. He was killed in an encounter in south Kashmir in March. At the beginning of November, another educated young man, Ehtisham Bilal from Srinagar’s Khanyar, announced he was joining the same group. Indian Army Chief General Bipin Rawat on November 12 made an appeal to the newly-recruited armed rebels in Indian-administered Kashmir to “return to the mainstream” while the influential pro-independence head priest based in Srinagar alleged that “New Delhi is pushing Kashmir’s educated youth to the wall” and “misleading the international community” about its “repression in Kashmir” and “unpalatable” ground realities. 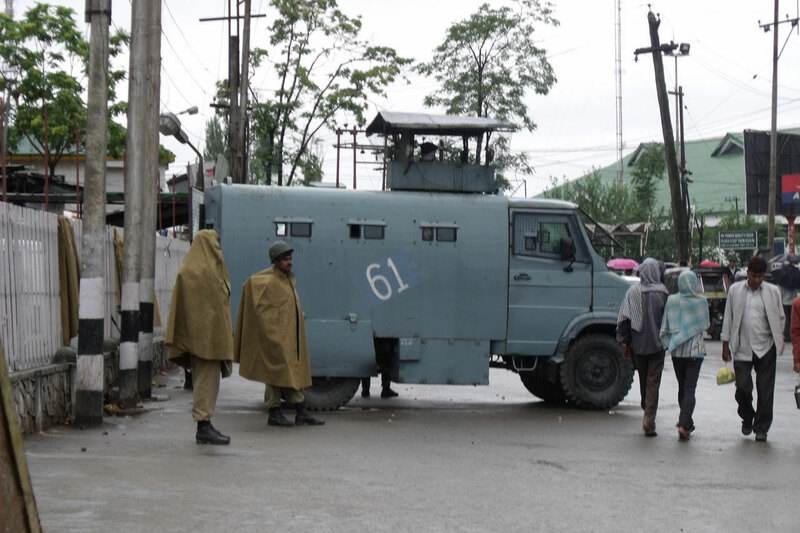 Government forces have intensified their anti-militancy operations in the Kashmir Valley, especially south Kashmir, with the aim of creating a conducive atmosphere for the upcoming state legislative assembly and general elections due early next year. 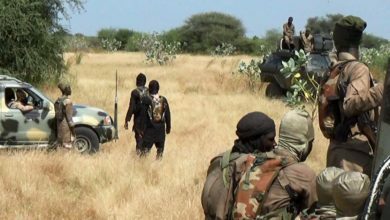 In the last week, at least 20 militants, including a top Lashkar militant Naveed Jatt (alias Abu Hanzullah), and several commanders of Hizbul Mujahideen, Lashkar-e-Taiba and Ansar Ghazwat-ul-Hind including Umar Ganai, Azad Malik (alias Azad Dada) and Shakir Hassan Dar have been killed in joint operations carried out by Indian army, paramilitary personnel and the J&K Police special operations group. All of Kashmir observed a day-long shutdown on November 26 to protest the killings of militants and civilians.